Welcome to the final post on implementing the GJK. In the first post, we looked at some of the basics and described the algorithm in general terms. In the second post we looked at how the GJK is set up in the Dubious Engine. In this post we’re going to dig down into the lowest layer, where we build and maintain the Minkowski Simplex. So we’re going to be looking at the Minkowski_simplex in detail. Internally it basically holds 4 points (the code is a little bit more complicated for efficiency’s sake). Why 4 points? 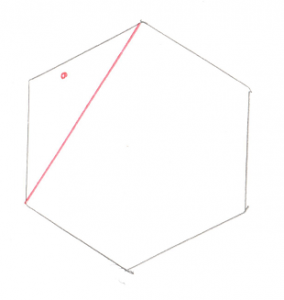 Remember that in 3D a simplex is a tetrahedron, which is a shape made of 4 points. Not all 4 points are in use at all times. The algorithm starts with a simple Line (ie 2 points). When a new Support Point is added, the simplex becomes a Triangle. Then another new Support Point turns it into a Tetrahedron. If that is not found to contain the origin, then a point is dropped and the simplex becomes a Triangle again. Let’s take a look at how it works. The Minkowski_simplex::push_back function is trivial. If it were implemented with an actual std::vector it would literally be a call to std::vector::push_back. But what’s up with the build function? 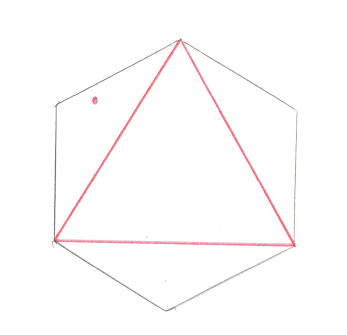 As you can see, there are only three valid point counts, corresponding to the Line, Triangle, and Tetrahedron. Hopefully that’s not too confusing. It turns out that there are actually less real possibilities. Recall in the previous post I devoted a lot of time to the dot_product test between the Support Point and Support Vector. I said it was “critically important.” The reason it’s so critical is that it lets us disregard areas 1 and 3 in the above image. This is because areas 1 and 3 correspond to a situation where the Support Point is out past the end of the Support Vector. And our dot_product test is done to look for exactly this situation, because if the Support Point is out past the end of the Support Vector then there’s no way the resulting simplex can contain the origin. To say it another way, the dot_product test has already filtered out areas 1 and 3, so we don’t even need to look for them. 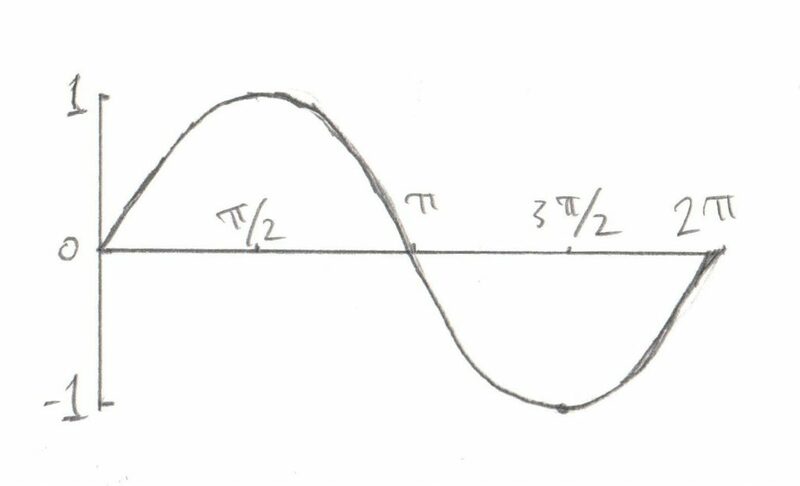 This makes the search for the origin in relation to this line very easy, the origin is either on one side or the other. You’ll notice in all this code I try to name things consistently. 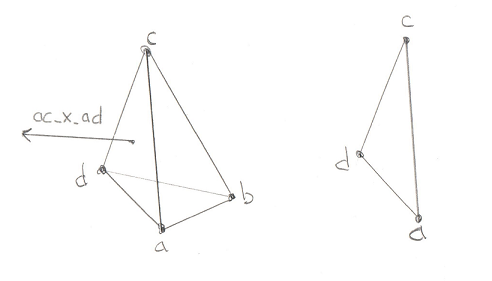 Points in the simplex are a, b, c, and d, and the origin is o. 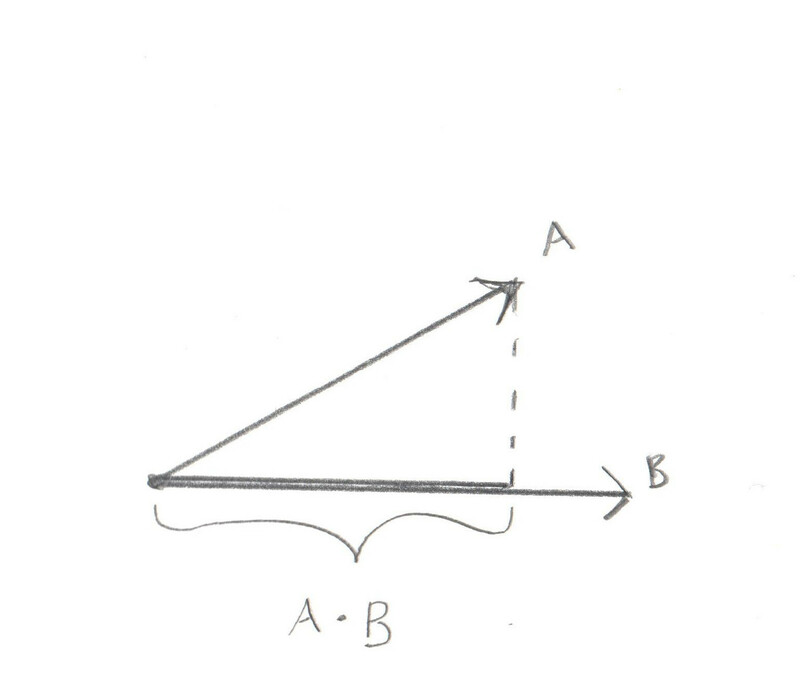 A Vector pointing from a to b (counter-intuitively calculated by b-a) is called ab. 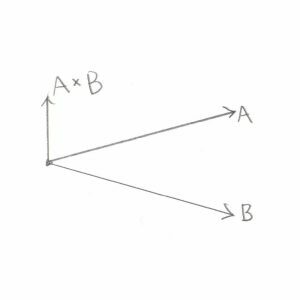 You’ll recall that a Cross Product of any two Vectors is a third Vector that is perpendicular to both of them. In this case the two Vectors both lie on the plane of your monitor, so the Cross Product of ab and ao, stored in tmp, is a new Vector that points directly out of your monitor and at you. Grab a pencil and stick the eraser on point a and point the tip at you, that’s the Vector tmp. The next part of the code takes the Cross Product of tmp and ab. That would be a new Vector that’s perpendicular to ab and points in the direction of the origin. Pretty cool, huh? By using two Cross Products we’ve found the direction Vector we’re looking for. That will become the new Support Vector for the next phase of the GJK. But before we move ahead, there’s an edge case to worry about (there’s always an edge case). 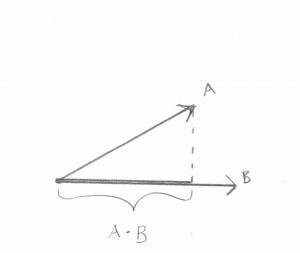 If the origin happens to fall exactly on the Vector ab, then the Cross Product will fail and we’ll be left with an empty direction Vector. 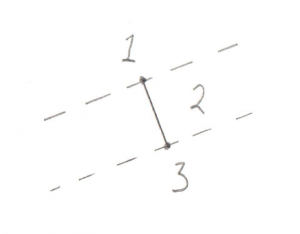 In this case we can try to create a perpendicular Vector manually. So that’s the code for the Line test. Not too bad I hope. The following tests are basically the same idea, but with more possible locations to look for the origin, and a few quirks to deal with. We can eliminate cases 1, 3, and 5 due to the same optimization discussed for the Line test, if the origin was past the lines then we would give up before entering this test. We can also eliminate the outside of Vector bc. This is a bit of a surprise. This is because Vector bc turns out to be the Line we tested previously. In order to get to this stage we already know that the origin is on one side of Vector bc, so there’s no need to test the other side. What’s left is 2 Line tests (cases 2 and 6) and 2 Triangle tests (cases 7 and 8). I discussed the naming of a, b, and c previously. 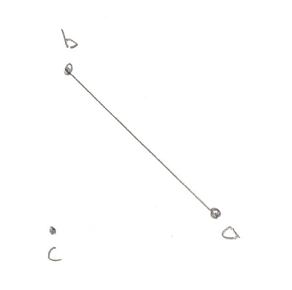 It’s important to note that b and c are the same Points used in the above Line test. This is how we can exclude the test on the outside of bc. 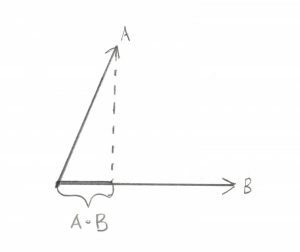 Vectors ab, ac, and ao are simply created by subtracting the points, same as last time. 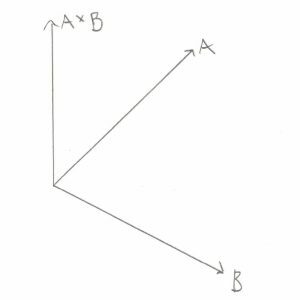 Vector ab_x_ac (pronounced “ab cross ac”) is the Triangle Normal, ie a Vector pointing perpendicular to the outside of the Triangle. 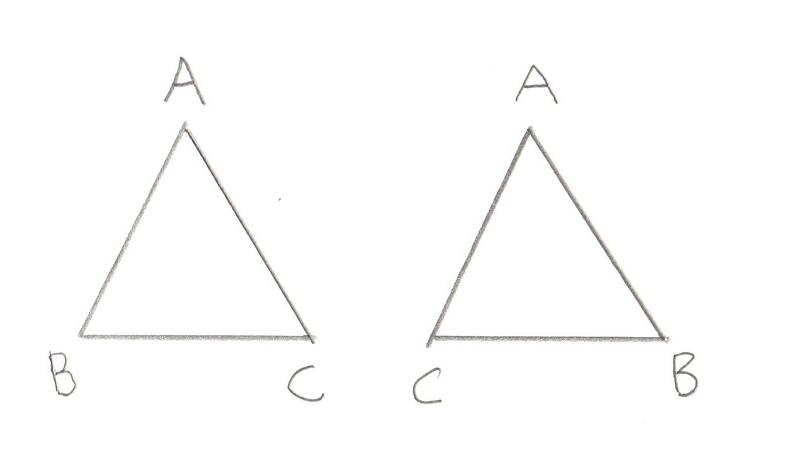 Recall the discussion of the Winding Order, it’s very important that this Triangle is ABC and not ACB. You will see the code moving points around to make sure the winding remains consistent. 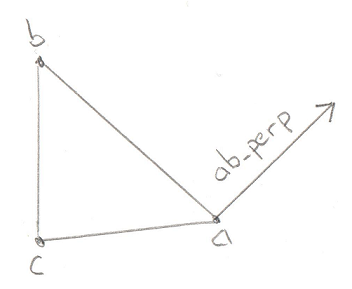 The Vector ab_perp is a Vector perpendicular to edge ab. Again we can use the Cross Product to find a Vector perpendicular to any two Vectors, in this case edge ab and the Triangle Normal. 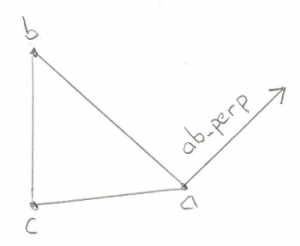 We can take the dot product of this new Vector and the ao Vector to find out if ao is on the outside of the Triangle along ab_perp. If it is then we throw away point c and reduce our Minkowski Simplex to a simple Line, and return a new Support Vector to search in. 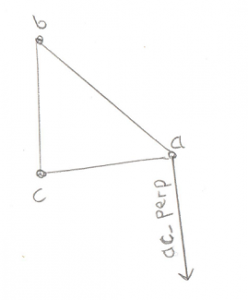 If this test passes then the origin is outside of the triangle on the ac side. This means we have to throw away point b. If none of these tests find the origin then we can conclude that it’s not outside of any of the edges, so it must be inside the Triangle. 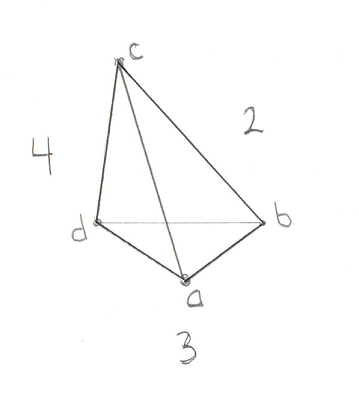 So now it’s just a question of whether the origin is above the triangle, or below it. 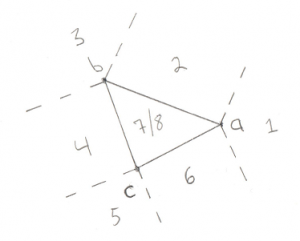 The check to see if it’s above the triangle is trivial, just use the Dot Product to see if Vector ao is along the Triangle Normal. If it is then we retain our entire Triangle and return the new Support Vector. Wait wait, what’s going on with the call to std::swap? Remember I said that the Winding Order is important? 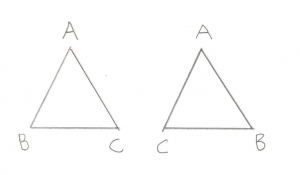 For our Tetrahedron test we need to know which side of the Triangle the origin is on. I set it up so that it’s always on the “outside.” But in this case, the origin is “inside” the Triangle. So I fix this by simply flipping two points on the Triangle, thereby reversing the Winding Order and making the old “inside” the new “outside.” Cool trick, huh? I compressed the 4 end point checks into case 1. As before, they’re not possible in our situation due to the Dot Product test that I’ve been harping on about. And just like for the Triangle case it wasn’t possible to be outside of the Line we started with, for the Tetrahedron it’s not possible to be outside of the Triangle we started with (case 5). Then there are 3 remaining triangle tests. If it turns out that the origin is outside of one of these Triangles then we drop the Point at the opposite side and are left with just a Triangle. Then we define the Support Vector to be in the direction from this Triangle to the origin. We grab a new Point and are left with a new Tetrahedron and the tests begin again. This bit should look very familiar by now. Let’s be very specific about the Winding Order. You’ll remember from the Triangle test above that we left with the Support Vector on the “outside” of the triangle. Since the new point would have been pushed back to the last position in the array, this means that points b, c, and d define the Triangle we were looking at before. This also means that a is “outside” the Triangle, and that from a‘s perspective, b, c, and d are wound counter-clockwise. 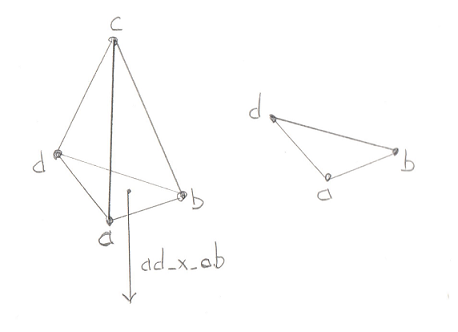 Next we set up the usual edge Vectors, ab, ac, ad, and the Vector to the origin, ao. 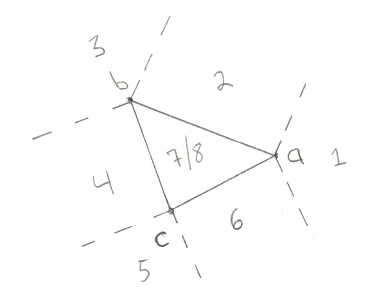 We don’t bother defining the other edges (bc, bd, or cd) because we already know the origin can’t be outside of that Triangle (case 5 above) so there’s no need. 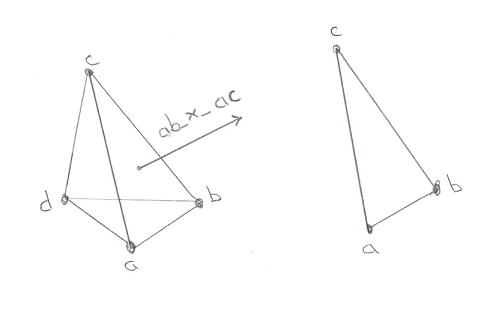 The Vector ab_x_ac (pronounced “ab cross ac”) is the Normal to Triangle ABC. By checking the Dot Product of that Normal with the Vector to the origin we can see if the origin is outside Triangle ABC. 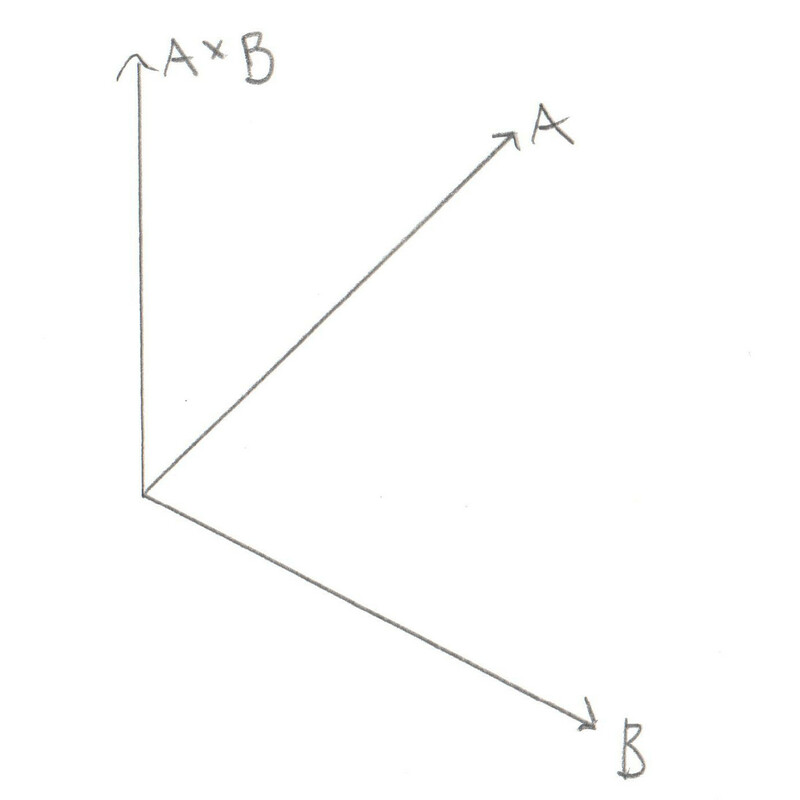 If it is then Triangle ABC becomes our new starting Triangle and ab_x_ac becomes out new Support Vector. This means we drop point d as we know the origin is not on that side of the Tetrahedron. Winding Order remains important as our next test needs to start off with the origin “outside” this Triangle. And all of that work brings us to the final, glorious step in the GJK. 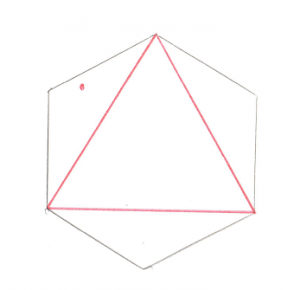 If the origin is not outside of the 4 Triangles, then it can only be in one place, inside the Tetrahedron. This is the success case, proving that the Minkowski Difference contains the origin and our two models are intersecting. Let’s revel in that for a moment. That simple “true” in the returned tuple means that the collision exists. It took us 3 posts to get here, but we’ve finally come to the end of GJK. So where do we go from here? What’s the next step? Well you’ll notice that we’ve found that the objects collide, but we don’t know WHERE they collide. If you just want a simple game where you only have to figure out if a laser hit something, then this is all you need. But in most cases we want the thing that was hit to move realistically from the impact. This requires that we know where it was hit. This is a job for our next topic, the EPA. Stay tuned. In the previous post we looked at how Collision Detection using GJK is supposed to work. In this post, let’s look at how it’s implemented in the Dubious Engine. We’ll start by taking a look at the objects that we’ll be using. Physics_model – This is the representation of a model for the purpose of collision detection. It is made up of a std::vector (ie a container) of Local_vectors. I think it’s interesting to notice that we don’t have to keep Edge information, that is we don’t care how Vectors are connected to each other. We just need all of the Vectors that make up the model. Now maybe philosophically these should be Local_points, but there will be so many dot products and cross products that it’s better to just keep them as Vectors. Notice they are stored in local space. This means that when you rotate a model, the points are not actually updated. 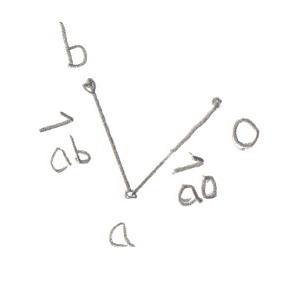 Instead we keep track of the rotation with a Coordinate_space. Coordinate_space – We spoke about these in depth before. Now’s our chance to actually use them. The Coordinate_space defines the position and rotation that applies to all of the Local_vectors in the Physics_model. They are stored next to the Physics_model in a Physics_object (which isn’t really used in collision detection). Minkowski_vector – This is just a Vector and some extra data that we won’t be using in the GJK. When I wrote the GJK for the first time, I didn’t have this, so you can just read it as Vector when you see it. Later, when we look at the next step in Collision Detection, the (spoiler alert) EPA, we will see why we need this. Minkowski_simplex – This is the big one, it’s where the magic happens. A simplex (as I understand it) is the simplest convex shape that can be created in the number of dimensions you are working with. 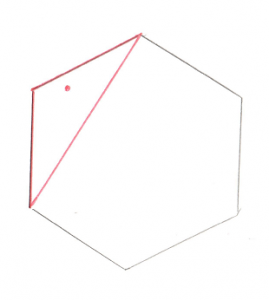 In 1D it’s a line, in 2D it’s a triangle, in 3D it’s a tetrahedron. If you’ll recall in the previous post I showed how GJK works in 2D using a triangle. In that case the triangle was our simplex. 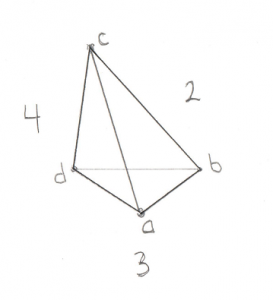 In this post we’ll go full 3D, so we’re talking tetrahedrons. It’s called a Minkowski Simplex because it’s created by using some of the points from a “Minkowski Difference” (also covered in the last post). Collision_solver – This is the part that pulls everything together and directs the action. It does more then just the GJK, so we won’t be looking at the whole thing, just the part that’s of interest for now. We’ll come back to it when we go over the EPA. 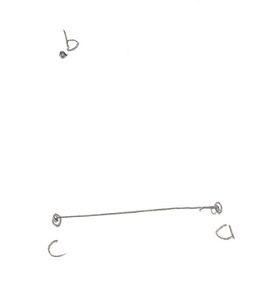 Objects a and b are the two things we want to test for a collision. The GJK doesn’t actually tell us where something collides, only that it does collide. So for now we won’t concern ourselves with the contacts. 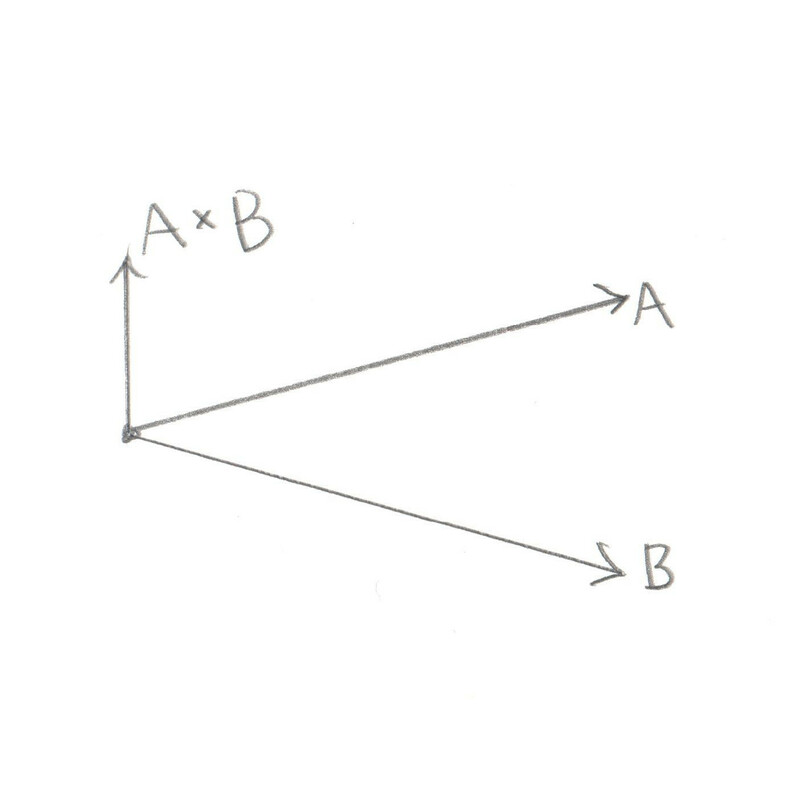 Objects a and b are trees of Convex Polyhedra. Remember in the last post I said that complex shapes (like a star) are made up of a bunch of Convex Polyhedra? Well the Physics_object is what contains all of those Polyhedra. Recall that in the GJK we often want to find the point furthest along a “Support Vector.” Not surprisingly, this point is called the “Support Point.” A brute force method for doing this would be to find the dot product of every point in the model with a Support Vector. Recall from our that the dot product of two Vectors returns a scalar that is related to how much the two Vectors overlap. If we find the Vector in our Physics_model that overlaps the most with our Support Vector, we have found our Support Point. It’s good to pay attention to which coordinate space we are in for this function. Recall that the points in a Physics_model are in local space. Similarly the direction argument is also a Local_vector. This means it’s reasonable to find the dot_product between the direction and all of the Loval_vectors that make up the Phyics_model. This wouldn’t be possible if direction was in the global space. Notice that I said this is a brute force method for finding a Support Point. There are ways to do a better job of this, but I never looked into them. I’ve seen mention of a “Hill Climbing” algorithm that might be worth looking up if you’re interested. Now that we know how to find a Support Point, let’s continue with how to search the Physics_models for collisions. The Dubious Engine code has a few uninteresting layers where we just traverse the various trees until we get to a place where we actually start comparing Physics_models. Let’s take a look at the important parts of this code. This first part is all about setting up the starting point. We randomly pick a Support Vector of (1,0,0) to start. Next we find the Support Point in model a and the Support Point in model b. For model b we’re actually using a Support Vector in the opposite direction. This is because a Minkowski Difference is made from subtracting b from a. Notice all the calls to transform. What’s happening is that the Support Vector, direction, is in Global Space (ie it’s a Vector, not a Local_vector). But as I mentioned previously, the support function needs this vector to be in Local Space, so we use the Coordinate_space to transform the Vector into a Local_vector. From there we can call support, which returns a Local_vector, which we then need to transform back into Global Space, again with the help of the Coordinate_space object. This should give you an appreciation for using types to your advantage. Once we have the Support Points on both Physics_models we want to find the Support Point on the Minkowski Difference. Remember that the Minkowski Difference is made from taking a point on model b and subtracting it from a point on model a. And since both of our support points are in a global Coordinate_space, we can simply subtract them to get a new support_point on the Minkowski Difference. The support_point we found is going to be used to start our Minkowski_simplex, and we would like for the next Support Vector, direction, to simply be a Vector in the opposite direction of this point. However if our current point just happens to fall on the origin, then the new Support Vector will be empty and the entire function falls apart. So if that happens we basically start over but use the vector (0,1,0) as our starting Support Vector. In the end we have a support_point and a new Support Vector. You can ignore the Minkowski_vector class for now (just pretend it’s only the support_point). Next we create a new Minkowski_simplex. The next bit is a loop that really should continue until a collision is either found or not found. However there can be edge cases where rounding errors cause us to bounce back and forth between the two states, so we’re just going to try the loop a fixed number of times and if we don’t converge on a solution, assume the objects are not touching. In practice this isn’t the end of the world because the objects will probably just intersect even more during the next update and we’ll catch them then. This bit should look pretty familiar by now. 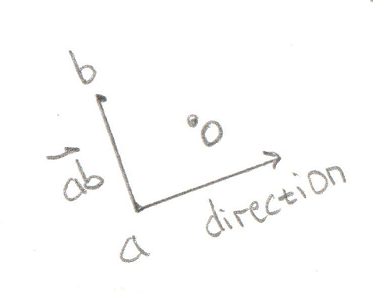 direction is the Support Vector and we’re just looking for the Support Points along it on both objects. We already did this to start up the Minkowski_simplex above. So what’s going on here? We know that the Support Vector, direction, points away from the existing points in the Minkowski_simplex towards the origin. How do we know this? Well the whole point of the GJK is to see if the Minkowski_simplex contains the origin. So if we already have a bunch of points on one side of the origin, the only way to contain the origin is to look for a point on the other side of the origin. This image should make it clearer. 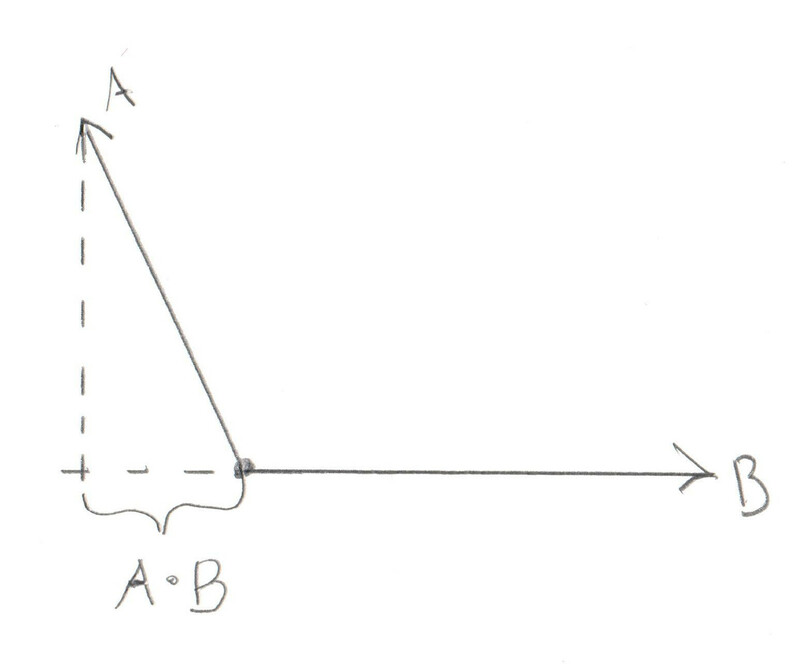 In these drawings the dark line represents the current part of the Minkowski_simplex. The red dot is the origin, and the red arrow is the proposed Support Vector. In the left side drawing the Support Vector is pointing from the simplex through the origin and it’s obvious that if there’s a point in that direction the resulting triangle might contain the origin. 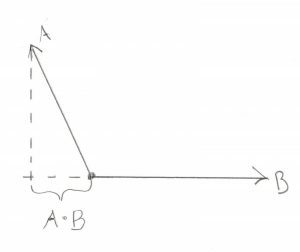 In the drawing on the right it doesn’t matter which point you find in the direction of the Support Vector, there’s no way it could ever contain the origin. So back to the code, it’s clear the Support Vector must be pointing away from the existing points and through the origin. We want to test that Support Vector against the new support_point. 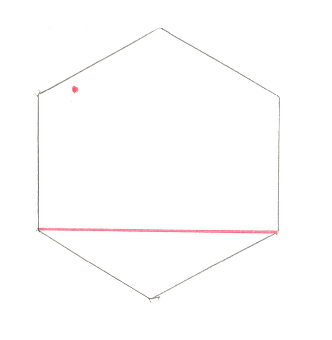 The dot product of two vectors will tell you if they overlap. 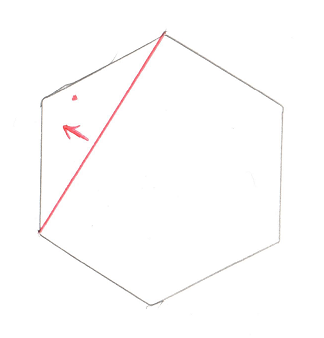 In the left side image the dot product between the support Vector and the Vector to the new support_point is positive (see the helpful + sign in the circle?). This means it’s possible for the new support_point to create a simplex that contains the origin. 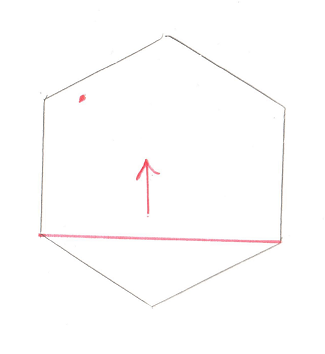 In the image on the right the dot product is negative (that’s a – sign in the circle) and there’s no way the new simplex could contain the origin. 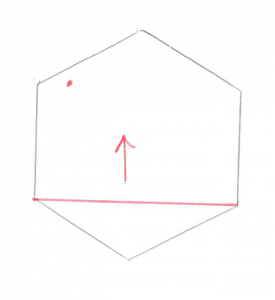 If the dot product between the support_point and the Support Vector, direction, is negative then there’s no way the simplex could contain the origin. This means there’s no way the objects could be colliding, so we return false. That’s a lot of information to take in about one little dot product. Another important bit is that we’re checking for less then or equal, not just less then. Why is this? Is the dot product is 0 it means that the two objects are just barely touching. You could consider this a collision, but I found that it breaks the next step, the EPA. So in the Dubious Engine, objects that just touch are not considered colliding. So continuing on, if it turns out that the dot_product returns positive, then the new Support Point is on the other side of the origin from the existing points in the Minkowski_simplex. That doesn’t necessarily mean the Minkowski_simplex contains the origin, only that it might. So we’ll want to add this new Support Point to our simplex and test it out. And this brings us to the end of this function. However there is a lot more to explore. Inside that call to simplex.build() is where the simplex is tested to see if it contains the origin. If it does not then the simplex changes shape and returns a new Support Vector, direction, to search for the next support_point. That’s a lot of code to stare at in one post. And there’s a lot more code still to come. So I’m going to wrap this up. The next post should be the last one that describes the GJK. From there I’ll introduce this EPA I’ve mentioned a couple of times. That one is what tells us where the collision takes place. Something to look forward to. Okay now’s where things start to get a little twisty… Get it? Twisty? 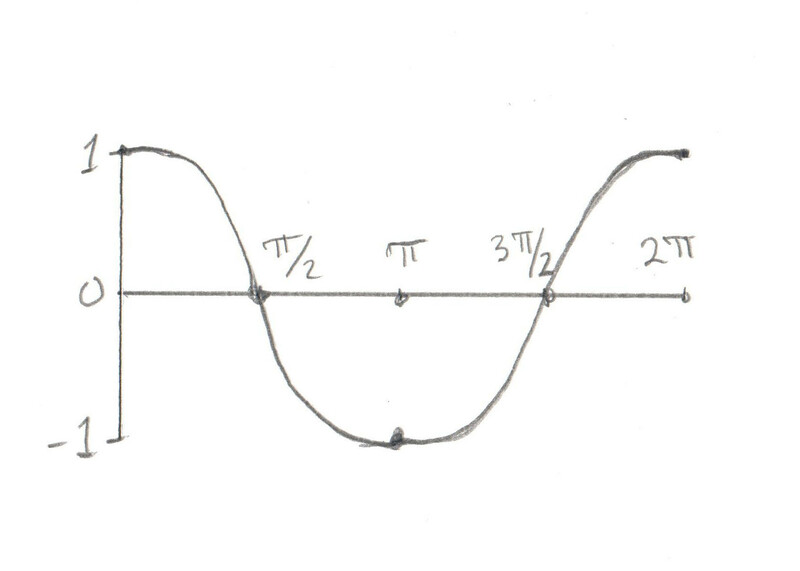 The previous post handles the relatively simple case of motion in a straight line. Now we want to turn (eh? Turn?) our attention to rotations. Simply put, while Linear Motion deals with motion in a straight line, Angular Motion deals with how things spin. The good news is that every formula for rotations has a direct analogue in linear space. The bad news is that it still manages to be confusing. This may have to do with the blatant overuse of Greek symbols. Thankfully for you, I have no idea how to type Greek. Okay yeah, so the Quaternion makes it mathematically hard, but the concept is simple enough. Are you facing North, South, etc? The reason we’re forced into using a Unit_quaternion is that we will need to take any arbitrary rotation, apply a force, and get some new rotation. If you remember from the Rotations post, this kind of manipulation of a rotation is exactly the problems that Quaternions solve. Why do I use a Vector and not a Quaternion? This is a great question. I’ve actually been on a bit of quest to try and see how I might use a Quaternion directly, but so far I have not been successful. The math of applying a Quaternion angular velocity to an existing rotation is great, but all of the physics of is just easier to reason about using plain old Vectors. So for now, our angular velocity is a Vector. It works exactly like an Axis and Angle previously described. So is there an angular version of acceleration? Absolutely, but much like with Linear Acceleration, I don’t really use it so much, aside from as a trick to convert Force to Velocity. Okay so now for the hard ones. Believe it or not, the first hard one is the Angular equivalent of humble mass, it’s called “moment of inertia.” Why does this need to be hard? Well you may have noticed that when something’s mass is evenly distributed it tends to spin smoothly, think car tire or hula-hoop. But something that weighs a lot more on one end spins very unevenly, think hula-hoop with a five pound weight attached to one side. The Physics of it is that things rotate around the center of mass, the balance point. If the thing has an odd shape, or is made of light stuff on one side, and heavy stuff on the other, it will not spin around it’s physical center. I don’t want to get hung up on the details of this one, the Internet is filled with the math for how this works, for this discussion it’s important to know that things with an uneven mass distribution will spin differently then things with an even mass distribution, even if they both have the same total mass. A Moment of Inertia does the job of storing both an object’s mass, and the distribution of that mass. And this brings us to the big one, Force, or as we call it in Angular space, Torque. When I was in high school, torque was the hardest part of Physics for the class to understand. I’m not entirely sure why this topic was so complicated for us, but we spent weeks trying to wrap our heads around it. It turns out that torque is really just Force… but it has an extra component, which is where on the object the force is applied. Just like in moment of inertia the distribution of mass is important. Similarly, where the Force is applied is an important part of the Torque. To put this in more concrete terms, imagine a bicycle wheel. If you push the tire it’s pretty simple to get it spinning, but you have to push very fast to make the wheel spin fast. But if you push right next to the hub it’s harder to get it spinning, but you don’t have to push very fast to make the wheel spin fast. It’s the same amount of Torque required to get the wheel spinning to a given angular velocity, but depending on where you push it can feel easier or harder. Check it out, it all fits into a simple scalar. Thank goodness for cheating. So the above function for finding the new angular velocity manages to hold up just fine with our cheating simplified moment of inertia. You won’t find a lot of sites explaining why this works, but this link does have an explanation. Unfortunately I’m not able to fully understand it, so let’s just hope the author never takes down that link. Now that we have a grounding in the basic Math of a Physics Engine, it’s time we shift our attention to actual Physics. Thankfully, basic Physics is something we’ve all probably had in high school, so this information should be pretty straight forward. Maybe it will help knock off some rust, maybe it will help focus your attention on the specific parts we need for a Physics Engine, or maybe it will introduce you to some of the quirks of Physics in 3D (which I never did in high school). 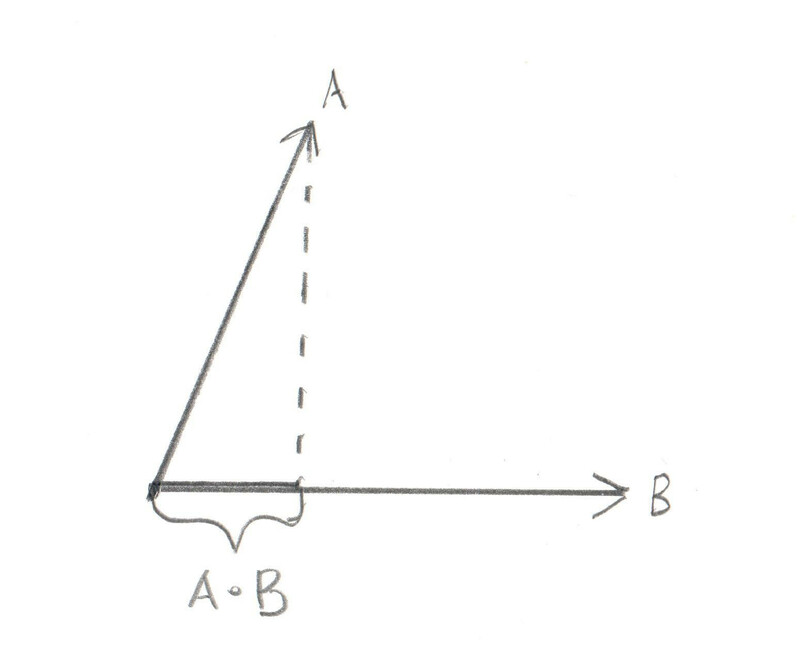 I’m going to split up Linear Motion and Angular Motion into two posts. The Linear part should be a lot simpler, so let’s get started. In English, acceleration is the change in velocity divided by time. Or to say it in car analogy: The Tesla Model S does 0 to 60 in 2.28 seconds. To make it painfully obvious, 60 is v1 and 0 is v0, and t is 2.28 seconds. So here’s the story thus far: we have an object with a known mass, velocity, and applied force. Some amount of time elapses. We enter our Physics loop and combine all of these things to get a brand new velocity. That’s great, but remember that what we want is a new position for our object. How do we take this new velocity and elapsed time and find the position? So yeah, no great magic to all of this. Every time through the Physics loop we take our known velocity, mass, position, force and elapsed time and use those to figure out a new velocity and position. We then update the position on screen, and save these for our next time through the Physics loop. Where I calculate new Velocity – you’ll notice that instead of dividing Force by Mass I instead store the inverse mass and multiply it by Force each time. This is because multiplication is cheaper then division. It’s an optimization. For this post we’re going to stray a bit from both the philosophy of classes and concrete implementation details. Let’s talk a bit about how we can use the compiler to catch logical errors at compile time. In the process I can finally offer an explanation for why a lot of my Math classes are templates even though the type parameter is never used. All of this stems from some really painful bugs I had in earlier Physics Engines when I wasn’t able to properly specify my frame of reference. If you’re not familiar with this term, consider a simple example where you and I are both standing next to one another, facing in the same direction. If we’re given the instruction to “turn right” we would both turn the same way and there would be no problems. But what happens if we’re standing facing one another? Now if we both “turn tight” I would turn right, but you would turn left. Of course you would insist that it was I who had turned in the wrong direction and we’d have to argue for a while. This is because in the first example we both share the same (well, same for this example) frame of reference, but in the second example we do not. This is all well and fun in the real world, but in Physics simulations it leads to subtle (and not so subtle) bugs. This seems like it should work, but if I’m always using a plain old Vector it’s up to me (and some comments) to remember if that Vector refers to my local frame of reference, or the global one. And since the compiler doesn’t know which one it is, there’s no way for it to tell me if I’m using a local Vector in a function that expects a global. And indeed, in many cases I made exactly this mistake. And when your tests are basic and everything is pointing in the same direction (ie the local and global frame of references point in the same direction), there is no bug. So all your tests pass, but then when you start trying to fly your spaceship around in a video game, it starts to behave oddly the more it turns. What you need is some way to have two Vector classes, one for Global and one for Local frames of reference. You could try cutting and pasting your Vector class to create a Local_vector and Global_vector, but it’s not hard to imagine how that would become a maintenance nightmare fairly quickly. So how to have the compiler write two copies of the same class? Templates of course. It might be worth pointing out that I did not figure out this C++ type magic on my own. People have been coming up with much cleverer ways to assign types to simple values for years now. I remember reading a technique to teach the compiler the difference between a distance and a velocity such that if you tried to add them it would be a compiler error. My usage of the trick is mundane, but extremely helpful in keeping out the bugs. Better yet, it has no runtime cost, which is important in a Physics Engine. The only downside is that some of the template code can be a bit unpleasant to look at (like the friend definitions). I think the upsides clearly outweigh the downs, and now, at last, you know why my Vectors are templates.